We are pleased to announce Dr. Robert M. Spitz, our founder, medical director, and prinicipal investigator, will be speaking to community members about clinical research and common conditions that can affect the quality of life. On Wednesday, March 6th, at 11:30am Dr. Spitz will visit the Pawcatuck Neighborhood Center to discuss the important role women play in research. Did you know just 25 years ago many women did not participate in clinical research studies? 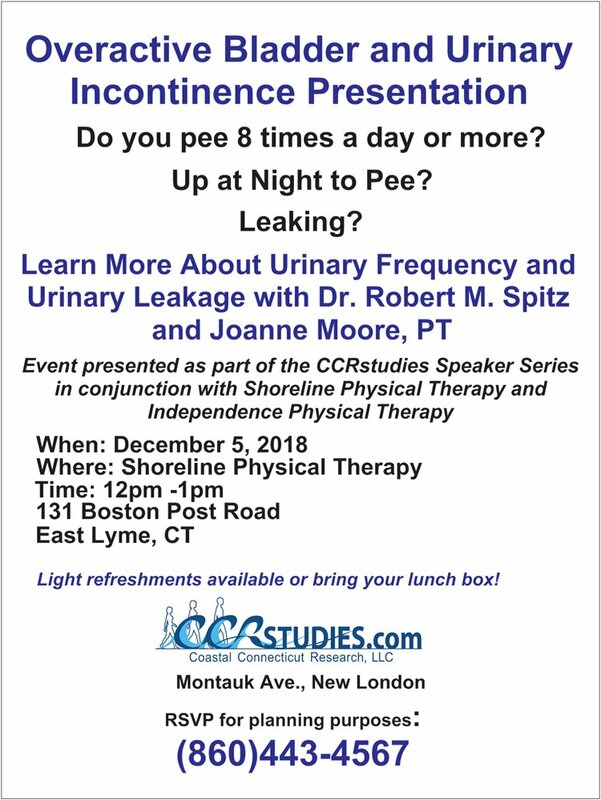 The following day, on March 7th, at 12:30pm, we’ll visit the Waterford Senior Center for a lunch and learn on Overactive Bladder. The evening of April 25th we will return to the Pawcatuck Senior Center for another presentation of the important role women play in clinical research. The evening event will give those in the area who were unable to join us during the day the opportunity to learn about the important role women play in clinical research and what is involved in women’s healthcare research. On Wednesday, May 8th, Diane Palmer, RN will conduct no cost memory screenings at the Public Library of New London from 1-3pm. These screenings are an important first step in helping to identify possible signs of memory loss. 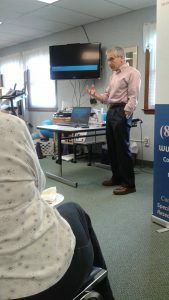 Coastal Connecticut Research is happy to contribute to the community through outreach, education and no cost memory screenings. Call to learn more about our programs and events. Ask for MaryLou at (860)443-4567 or email marylou@ccrstudies.com.